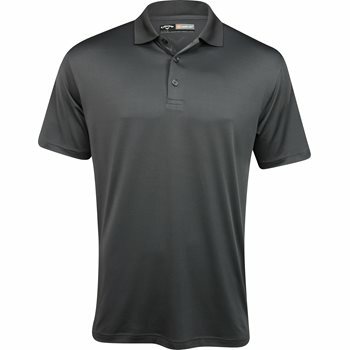 The Callaway Men's Golf Opti-Dri Solid Short Sleeve Polo Shirt is a top-performer that belongs in every golfer's closet. This solid-colored polo boasts fabric technology such as Opti-Dri moisture management, Opti-Shield UPF 50 ultraviolet protection, and flexible Opti-Stretch fabric for unencumbered golf swings. This shirt is bigger than I have expected. I bought the small. I am 5'5&quot; and 145 lbs. I can fit between small and medium but prefers small. This fits but feels like my medium shirts. Shirt looks well put together and really nice. Ordered 5 shirts. Great price. Delivery was free. Delivered in 3 days. Order was PERFECT. Shirts were Perfect. Cool, comfortable nice looking shirt. Fits nicely. I love this shirt. It is great in warm weather and looks nice. It is a little bit large, so try to order a size smaller.